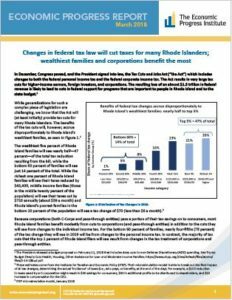 In December, Congress passed, and the President signed into law, the Tax Cuts and Jobs Act (“the Act”) which includes changes to both the federal personal income tax and the federal corporate income tax. The Act results in very large tax cuts for higher-income earners, foreign investors, and corporations. 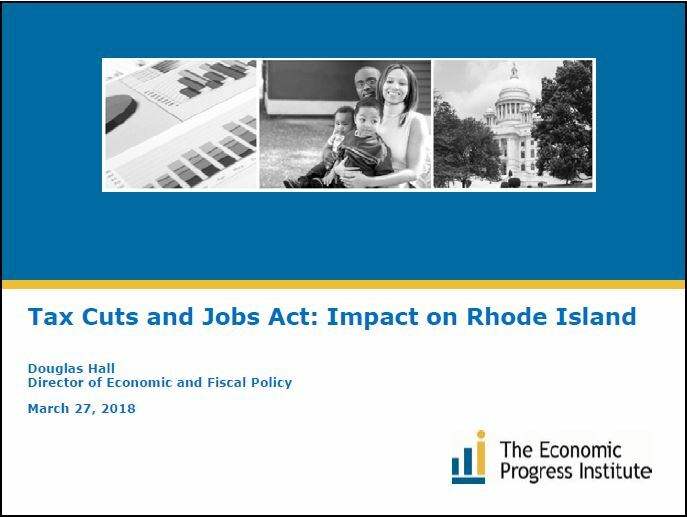 The resulting loss of an almost $1.5 trillion in federal revenue is likely to lead to cuts in federal support for programs that are important to people in Rhode Island and to the state budget. 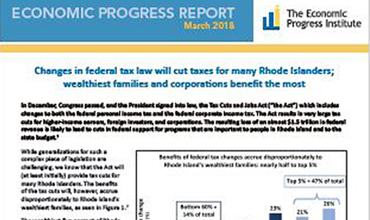 To help explain what the Act will mean for Rhode Island, the Economic Progress Institute released a paper entitled "Changes in federal tax law will cut taxes for many Rhode Islanders; wealthiest families and corporations benefit the most."